Urologic laparoscopy has dramatically progressed over the past 10 years (1). To date, The true virtue of any medical however, the large experiences exist mainly at academic centers. technology is its ability to cross into the The true virtue of any medical technology is its ability to cross into the community setting. Only a portion of community setting. Only a portion of urologic disorders amenable to laparoscopic urologic disorders amenable to management are currently performed in this manner (2-4). laparoscopic management are currently Despite the increase in urologic laparoscopy fellowship training programs and performed in this manner. laparoscopy experience in residency training programs, the current patient demand exceeds the availability of this surgical approach (5,6). 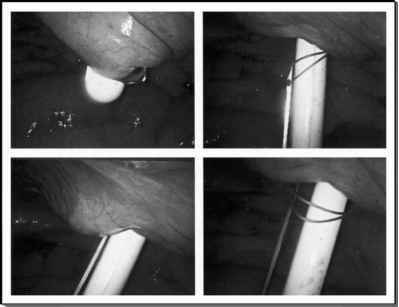 This chapter focuses on the feasibility and methods of developing a full-service urologic laparoscopy practice in a community setting. These concepts, based on the experience of a nonfellowship trained surgeon, are pertinent to both the inexperienced and the formally trained laparoscopist. Regardless of previous training, continuous development is essential to succeed in this demanding arena.